I have a roving mind. 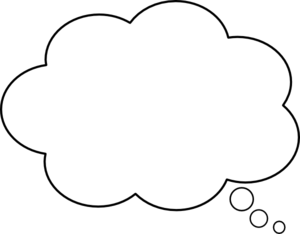 Through the course of each week I tend to accumulate random wonderings in my mind, most of which never evolve into anything other than a niggling question that’s going to bother me until I 1) ask someone who knows 2) go find the answer myself or 3) make one up. 1) Do flies, when arguing, tell each other to eat food and die? 2) Do deer have concrete human statues in their yards, poised in lifelike positions? 3) I just realized that the tune for the “Now I Lay Me Down to Sleep” prayer and “Eenie, Meenie, Miney, Mo” are the same. 3) I was not aware that either of those was ever sung. Tune might be the wrong word… cadence? 1) I hope so. But now I have a new way to safely swear. Thank you. 2) I suspect they would have concrete cars and trucks with solar powered headlights.